Here is a video of True Color. Enjoy! True Color version 1.1 is available on the App Store. Now you have quick access to the last selected photo and the ability to share your favorite color recipes via Facebook, Twitter, Email and Text Message! True Color is featured on CreativeBloQ today! "If you work with paint and can never quite get the right colour, True Color's a must." We are thrilled being recognized by a major design website. True Color is The Daily iPad App pick of The Unofficial Apple Weblog (TUAW) . Top 100 Entertainment iPad App in 8 countries including #37 in the U.S., #39 in Canada and #81 in Australia. We are very happy about the sales number when entertainment is the second most competitive category in the app market. Thanks for everybody's support. 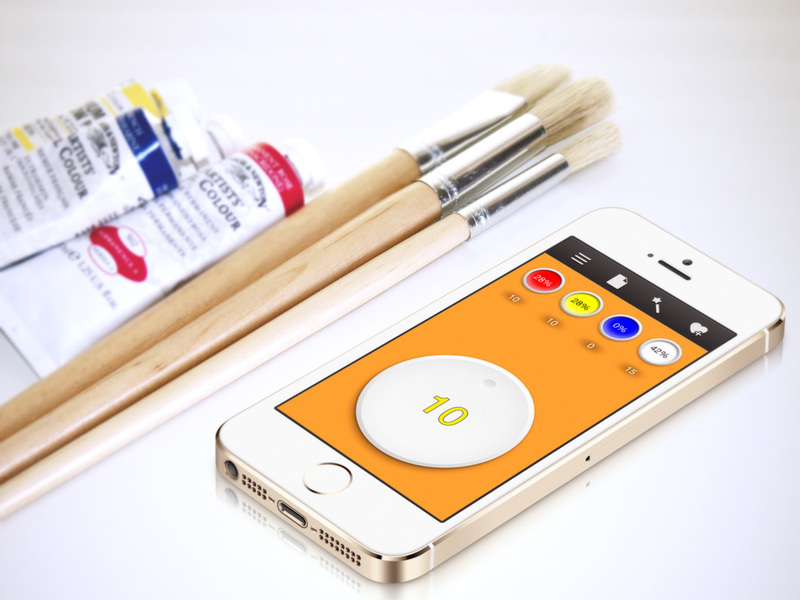 "True Color is one of those apps that definitely has a practical application but is also just fun to mess around with. Its purpose is to create “formulas” for different hues so that artists can properly mix paints to match, and you can easily take samples from your photos. You can also just mess around with the four component colors — red, yellow, blue, and white — to get the tone right before you go wasting all your acrylic on experimenting." True Color is featured in TWiT network's "iPad Today" episode 173. We are so thrilled. Thanks, Sarah and Leo! Check out the video below, True Color is at 1:15:45 mark. Introducing True Color, the ultimate color mixing assistant. With True Color, you can virtually mix colors and pick a perfect color from the photos you take. It shows you the proportion of each primary color component required to mix that color you are looking for. Now you can explore new colors without wasting expensive paints. 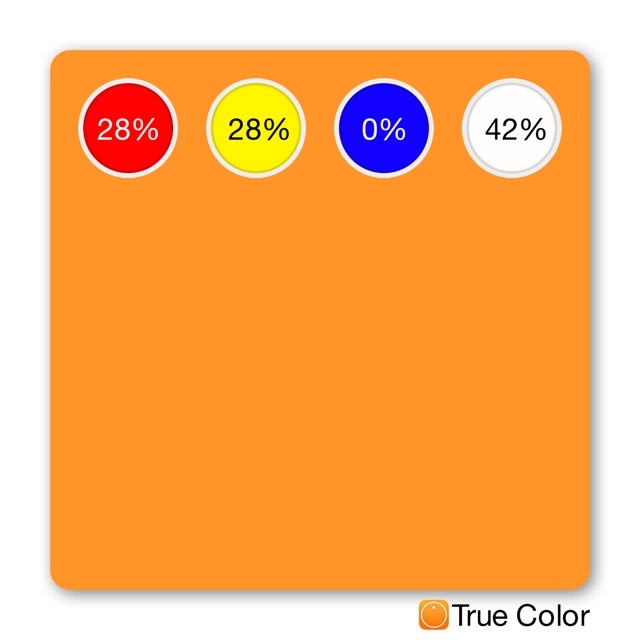 True Color is now available on the App Store for iPhone, iPad and iPod Touch. For more details, please visit True Color page.